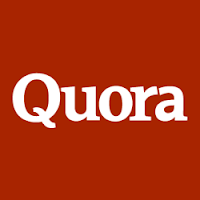 Based on TechRadar.com review, the Quora website hopes to be the place you go for definitive answers on everything from tech startups to which TV to buy, and it's already raised sacks of cash from excited venture capitalists. Sorry, you must have an invitation to create an account on Quora. Already have an account? Login here. Hey Ady, thank you so much for the invite! All invitations has been sent, check your mailbox. To protect the email address from spammer, all comments have been removed. All invitations has been sent, check your mailbox. To protect the email address from spammer, all comments have been removed. Very thanks for the invite! I appreciate an invitation,thanks a lot!! !